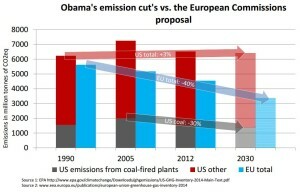 The US proposal on reducing emissions from coal fired plants by 30% compared to 2005 will limit the increase in total greenhouse gas emissions to only 3 percent compared to 1990, while they are currently already 5 percent above that level. 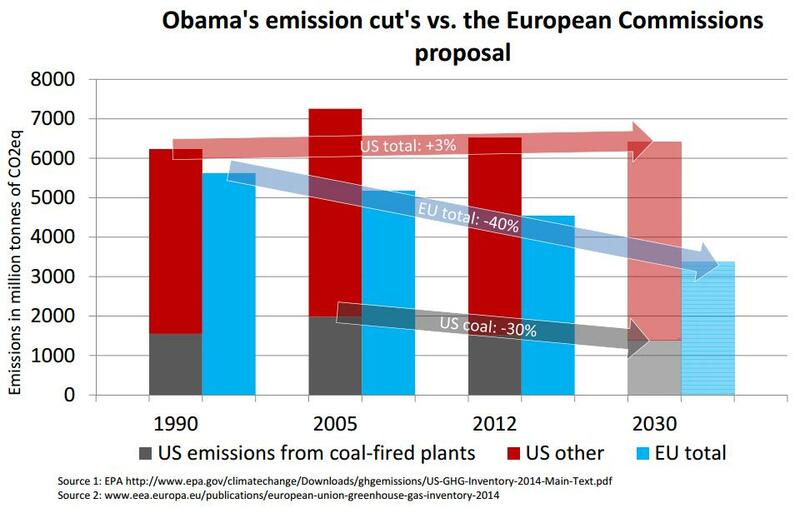 By way of contrast, the European Commission proposes to cut emissions by 2030 by 40 percent in the same period. Assistance by Sergiy Golovin is gratefully acknowledged.